Summary: Over 900 NDs, MDs and others gathered August 12-18, 2008 at the Arizona Biltmore for the annual convention of the American Association of Naturopathic Physicians (AANP). The Cleveland Clinic sponsored continuing medical education credits for medical doctors learning from NDs at the NDs conference, a first. Three score members of the American Holistic Medical Association (AHMA) attended, mixing things up in meetings, on the dance floors and in the pools. A plenary panel and private luncheon convened leaders of 7 national professional and educational organizations to consider joint policy efforts. Expansion of a residency program was described. AANP executive director Karen Howard announced that a Congressional Resolution, developed by the AANP, had been introduced to advance wellness and empowerment in any medical reform plan. Presentations on international opportunities in at the Harvard-Dubai Healthcare City and in Nicaragua added additional spice to the offerings. Here is a look at the naturopathic medical profession through the lens of one of the most robust, future-thinking practitioner gatherings in recent years. Roughly 100 years ago, I served in the formative period of the American Association of Naturopathic Physicians (AANP) as their first paid (somewhat) executive director. Actually, it was 1989-1993, but with each integrative healthcare year equal to 6 normal years, that's almost a century. While I have not been directly involved with the AANP since 1996, I have continued to observe the profession's organizational development with interest. And the developments in the last decade, which underpin the action at the recently concluded 2008 conference, have been robust. The profession organized a Naturopathic Coordinating Council for leaders of all of the profession's organizations to meet twice each year and share action steps. The AANP began an annual lobby day in Washington, DC. As a profession in which 75%-80% of its new doctors are females and which is seeking to raise the number of states in which its members can be licensed to practice, a potentially brilliant strategic move was made to succesfully place executive director Karen Howard on the board of the National Foundation for Women Legislators. Outreach to holistic medical doctors and holistic nurses has led to participation in new coalitions. Regular support from holistic MDs for expansion of licensing has been guaranteed. Meantime, the organization's operating budget has doubled since 2003 to $1,300,000 annually. The AANP has escaped red ink and developed a substantial operating reserve for an organization of its size. 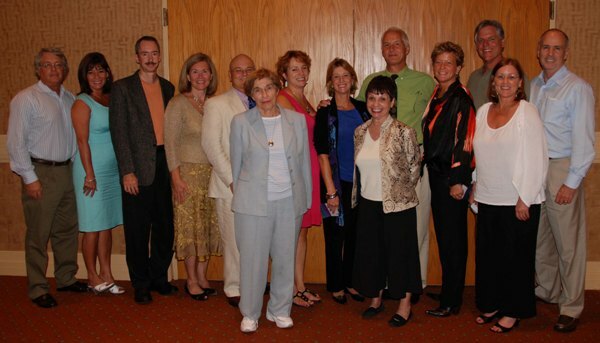 The 2008 convention, in which the AANP partnered with the American Holistic Medical Association (AHMA), offered a sense of what the might come next for the AANP with author and integrative cancer expert Lise Alschuler, ND, FABNO, serving as president. The next morning, attendees were again pulled out of their left-brains to a wild, shamanic ride into "shaking medicine" by psychologist Bradford Keeney, PhD. This connection with primal healing energy seemed to open the audience to core mission rather than guild mission, to inclusion and connection across the disciplines. They were also prepared for the shared challenge of transforming U.S. healthcare as presented in the 3rd keynote by philosopher and clinician Nortin Hadler, MD, author of Worried Sick: A Prescription for Health in an Overtreated America. If connecting with one's healer self is insufficient grounds for reaching across to healers of other stripes, Hadler's iteration of the medical system's awful problems argued that the naturopathic profession certainly needs some membership extender to succeed in being a significant contributor in transforming this mess. Many non-MD professionals have little respect for the challenges academic MDs face in trying to secure new footholds for integrative education and practice inside conventional academic health institutions. Just so, few MDs grasp the Sisyphysian commitment it takes to go back to a state legislature session after session, organizing, fundraising and educating to pass licensing for a formerly unrecognized profession. With small numbers, and licensing in just 15 states, legislative success in new states for naturopathic physicians is arduous. When successful, it is celebrated. Leaders of the Minnesota Association of Naturopathic Physicians' (MnANP) such as Helen Healy, ND and Tom Stowall, ND (now deceased) began their effort to pass licensing in the late 1980s. At the AANP conference, the MnANP finally had their moment on the AANP stage. This year, they finally gained licensing status. Healy was there, together with the current president, Leslie Vilensky, ND. What was new, and partly an outgrowth of the AANP's strategic design, is that the group that was called to the stage to be honored also included Bill Manahan, MD, a long-time holistic medical leader (and Integrator adviser) and medical educator and integrative clinician Carolyn Torkelson, MD. Torkelson's professional work includes practice as a holistic doctor and service as a representative for the University of Minnesota's integrative medicine team on the Clinical Care Working Group of the 41-member Consortium of Academic Health Centers for Integrative Medicine. The message: MDs and NDs working together created this new healthcare opportunity for citizens of Minnesota. Another up-by-the-bootstraps aspect of the naturopathic profession's development which would not be known to their MD colleagues is the process for creation of residencies. Federal support allows medical doctors to take these for granted. Literally billions of governmental funding underwrites this part of conventional medical education. Not a single federal dollar supports naturopathic residencies. In response, nationally-known women's health educator and clinician Tori Hudson, ND, and her colleague Margaret Beeson, ND, formed the Naturopathic Education and Research Consortium (NERC) to offer community-based residencies for NDs. The 501c3 organization addresses a widespread interest in the profession to expand clinical training opportunities for graduating naturopathic physicians beyond the few residencies available through the profession's teaching clinics. Each NERC residency must be accredited through the Council on Naturopathic Medical Education (CNME), the profession's federally-recognized accrediting agency. A specific focus of the NERC residencies is on educating practitioners in "community and collaborative medicine" through work in practices of MD specialists in their communities. The Hudson-Beeson team reported at the AANP meeting that the program, which began with residencies at their Portland, Oregon and Billings, Montana offices, respectively, has expanded to include additional accredited programs in Seattle, Hawaii and Colorado. An oncology residency, an international residency and an integrative clinical residency in the office of Integrator adviser Ira Zunin, MD, MPH, MBA are among new sites under development. ( Zunin is in the process of applying for residency status for his clinic through National College of Natural Medicine with the site visit to occur in September. If all goes as planned, the clinic with be the first integrative MD-centered, CNME-approved residency.) Funding is always a challenge. Some product suppliers close to the profession are assisting. The NERC website lists 25 companies. Two of the profession's schools are supporting NERC. The profession has recognized NERC's important role: the organization participates as part of the profession's Naturopathic Coordinating Council. Coda: One noteworthy advance in governmental support of the naturopathic profession was mentioned in a presentation by the profession's leading whole practice researcher, Carlo Calabrese, ND, MPH. Recent awards from the NIH National Centers for Complementary and Alternative Medicine doubled to six the number of naturopathic researchers who are paying back their student loan debt through pursuing research careers. Average loan debt of graduating NDs is reportedly in the $100,000 range. A member of the audience asked when the group was going to meet again to put the panel's talk into action. The luncheon meeting, with which I had the opportunity to participate in my capacity as part-time executive director of one of the educational consortia, was a first step. I can share at this time that the group made some commitments. Among these, significant interest was shown in a US Congressional resolution the AANP has had introduced relative to the importance of wellness, self-care and empowerment in an healthcare reform initiative. Participants were also pleased to learn that Integrative Practitioner Online has offered to use its site to promote dialogue and action, and the February 19-21, 2009 Integrative Healthcare Symposium to stimulate dialogue. More on all this soon. One vantage point for viewing what a profession deems as important is to look at the recipients of annual awards. What actions are they choosing to honor? What do you make of this constellation of awards? Physician of the Year - Marcia Prenguber, ND Prenguber runs integrative care programs in oncology and women's health for Goshen Health System in Goshen, Indiana, a state which does not yet license naturopathic physicians. The program has received national honors. She is increasingly speaking on naturopathic and integrative approaches nationally and internationally. Prenguber also chairs the Council on Naturopathic Medical Education, which received its first 5-year recognition from the US Department of Education under her guidance. President's Award - Naturopathic Medical Student Association The award was received by Cheri King, NMSA president, for its work in forging strong, formal relationship with its counter-part, the American Medical Student Association. See MD and ND Student Associations Forge Formal Ties, April 21, 2008. Research Awards - Patricia Herman, ND, PhD and Ather Ali, ND, MPH The research track at the AANP becomes more rich with each year. (It is remarkable the difference funding can make to a profession's research output!) Herman was honored for her report on a health services research project for hospital-based acupuncture. I missed the subject for which Ali, who is based at the Yale-Griffin Prevention Research Center, was awarded. The William Mitchell Vis Medicatrix Naturae Award - Jacob Schor, ND, FABNO This award, started by the AANP in honor of William Mitchell, ND (see Honoring William Mitchell, ND - 1947-2007, February 2, 2007) is irregularly granted to an individual who particularly embodies the healing power of nature in his or her work. Schor's writing and presence, and his organizing of the American Board of Naturopathic Oncology, were deemed worthy of this honor, together with his nearly two decades of work - unsuccessful yet - toward licensing NDs in Colorado. Comment: The list speaks of the importance of collaboration and integration in the community. The list was particularly pleasing to me with my two main professional involvements being the Integrator and the Academic Consortium for Complementary and Alternative Health Care (ACCAHC). Prenguber serves on ACCAHC's executive committee and is co-chair its Clinical Care Working Group. The NMSA is part of ACCAHC's new Student Organization Leaders Special Interest Group (SOL SPIG), which links these leaders with organizations of students in chiropractic and acupuncture and Oriental medicine. I am blessed to have NCMIC as the Integrator's founding sponsor and NCMIC also surprised ACCAHC with a decision to become one of it's core sponsors. Schor and Ali have been respondent writers here in the Integrator and Herman serves on the ACCAHC Research Working Group. What a web! Two presentations focused on new international opportunities, one in the second poorest nation in the Western hemisphere, Nicaragua, and one in one of the wealthiest nations in the world, Dubai. David Riley, MD, a consultant on integrative medicine to the Dubai Healthcare City, presented on this bodacious effort to create an international magnet in a free trade zone in that small, wealthy nation. The vision: "Dubai Healthcare City will become the internationally recognized location of choice for quality healthcare and an integrated center of excellence for clinical & wellness services, medical education & research." A part of the vision is integrative care. The city is being established through a joint effort with the Harvard Medical School Dubai Center. Riley, a recent Integrator commentarist, has been charged, among other things, with developing credentialing standards and practice scopes for practitioners. He noted a number of places where the Harvard team chose to frame the naturopathic services in ways that limit its scope, compared to the profession's status where it is an established part of the healthcare matrix. The NDs will have no prescriptive authority for conventional drugs. The Harvard team disallowed the use of "physician" by naturopathic practitioners, preferring "naturopathic healthcare professionals." Oddly, Riley's overseerers declared that all CAM practitioners "cannot treat infectious diseases." (It is worth mentioning that the state of Massachusetts, Harvard's home, is the one New England holdout in not yet licensing NDs, despite a long effort.) The Dubai initiative will use the ABC Codes from Alternative Link for gathering data from the complementary and integrative practices. Riley, who noted that he had also provided the Dubai Healthcare City some information related to natural products, viewed the status of NDs as a good starting place. The Integrator has previously noted the exceptional work of Tabatha Parker, ND and her co-founders of Natural Doctors International in developing a clinic to provide care in to the community of Ometepe, Nicaragua. Parker presented on the clinic has now cared for 6,000 of the island's 40,000 residents. NDI uses service-learning programs through which volunteers provide care via "medical brigades" as well as core staff NDs. NDI has announced plans to expand into other countries and to include members of other disciplines. A second clinic is being opened in southern Mexico. Comment: As with any professional association, any positive action is also coupled with various internal debates and challenges. For the AANP, one issue is how, on limited resources, to balance the prioritization of supporting the expansion of licensing with serving its members in states where licensing already exists. Most member dues comes from NDs in states with licensing, yet the focus of action is in states without licensing. Significant value for the naturopathic medical profession could come through establishing a forum for the leaders of the licensed states, to share information, collaborate on shared stategies and come up with a plan of action for which they might seek some support from their national association. I recall a visionary, strategic perspective offered by Peter D'Adamo, ND during my term with the AANP between 1989-1993. D'Adamo, the best-selling author and the AANP's Physician of the Year in 1990, suggested that one focus for the AANP should be on creating a "model state" in which the optimal integration of NDs into healthcare practice and policy would be pursued. The suggestion was premature, and brilliant. Now however, with the number of states with licensing having more than doubled, and with naturopathic physicians in varous licensed states active in primary care coalition efforts, in public health positions, on hospital boards, in collaborative research, in integrative oncology and holding various other healthcare appointments at the state and local level, the time may be right for significant AANP investment in supporting that direction. What is the model role for this profession, which will remain small for years to come, in creating health in communities where it is already a legal part of the mix?